NEW YORK (WABC) -- The estimated jackpot for Wednesday night's Powerball drawing soared to $524.1 million thanks to strong sales. 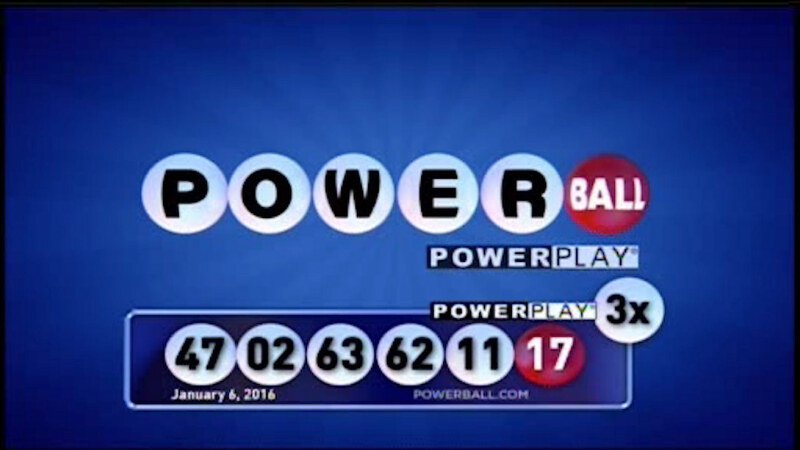 The winning numbers in Wednesday night's drawing for January 6, 2016 are 47, 2, 63, 62, 11 and Powerball 17. The multiplier is 3x. No one has won Powerball's biggest prize since Nov. 4. The jackpot now is the sixth-largest ever in North America, and if there is no winner after Wednesday night's drawing, the prize will keep growing.